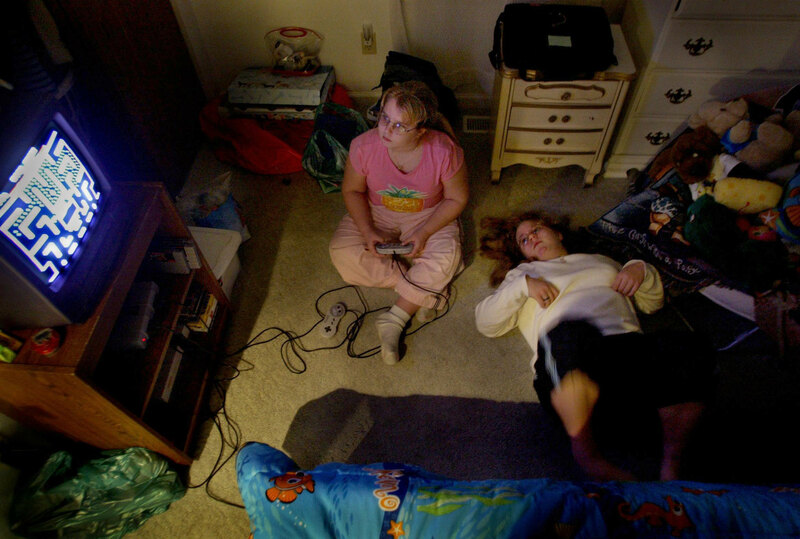 SEDENTARY LIFESTYLE- The Sheline sisters watch television and play video games for hours during the winter. "It's cold out there," says Taylor,10, (left), who vied for top score in Ms. Pac Man. Their mom, Theresa Sheline, says the girls often spend the entire day watching television, playing video games or Barbies.